After the Range Rover Sport now is the turn of the top of the line Range Rover Vogue debut its line 2018 with changes. Like the smaller sibling, the new luxury SUV now features visual changes, new technologies and even a plug-in hybrid version (which can be recharged in an outlet). The new model begins shipping in the UK later this year and will debut in Brazil in mid-2018. 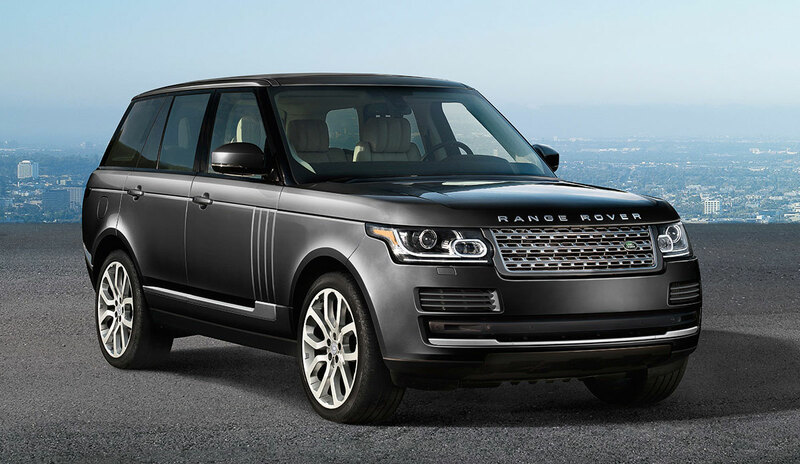 The new hybrid configuration of the Range Rover Vogue appears as the main novelty of the line. Named after the P400e, the version features a 300 hp Ingenium petrol engine of 300 hp and a 115 hp electric, powered by a 13.1 kWh lithium-ion battery. Together, it yields 403 horses. The model reaches 100 km / h in 6.4 seconds and a top speed of 220 km / h. Already the autonomy is of 50 km in the electric mode. Another highlight is the SVAutobiography Dynamic version, the sportive line. This configuration features a supercharged 5.0 V8 565 hp and 71.4 kgfm engine and can accelerate from 0 to 100 km / h in 5.1 s.
The Range Rover Vogue 2018 also has changed in the visual. There are LED Pixel-laser headlights, redesigned bumpers, new front grille, new design alloy wheels, rear taillights with a new internal layout and new exhaust tips. Inside, there’s the new Touch Pro Duo entertainment system, inherited from the Range Rover Velar and also present on the Range Rover Sport. It is endowed with two 10-inch high-resolution touch screens, which allows you to control the air-conditioning, seat functions, navigation system and other functions of the car. The model also features a new instrument panel with the 12-inch screen, 24-way front seats and rear seats that can be reclined up to 40 degrees and with 25 options of massages, WiFi access point 4G, jacks for charging a smartphone, new door panels, among others.